Holiday Inn Team, Amelia Island Fl. 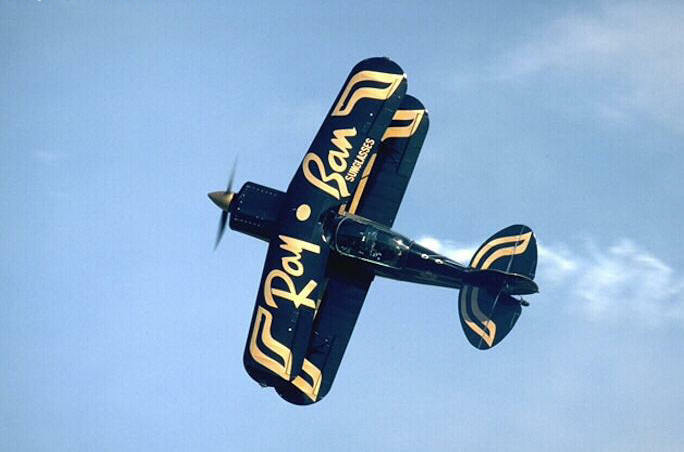 T.J. Brown brought a new era of sponsorship to the airshow industry. His legacy is found in the national sponsors we see today and professional management of teams like the Bed Barons. The Ray Ban Team pre-dates the Holiday Inn Team by a season or two. 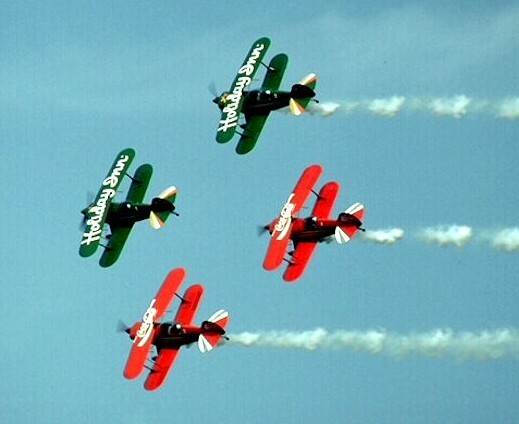 I only got to see them once in the Carolinas, but this Canadian team could flat fly the Pitts. Steve Coan, North Carolina & Costa Rica. 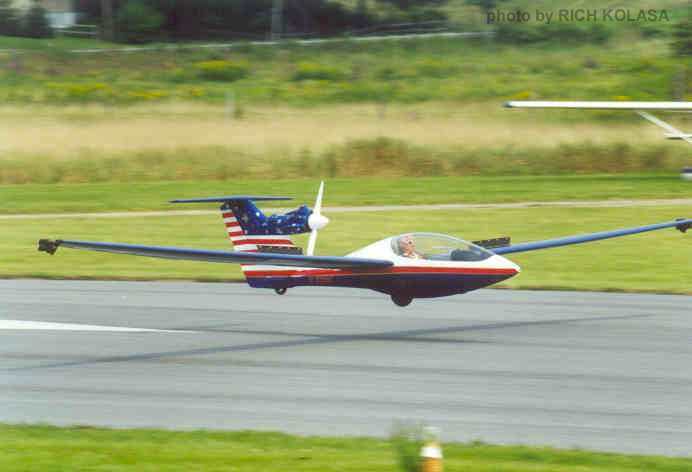 A self-launching sail plane be built himself and a attitude that enables him to effectively present his National Sail Plane Aerobatic Championship ability. 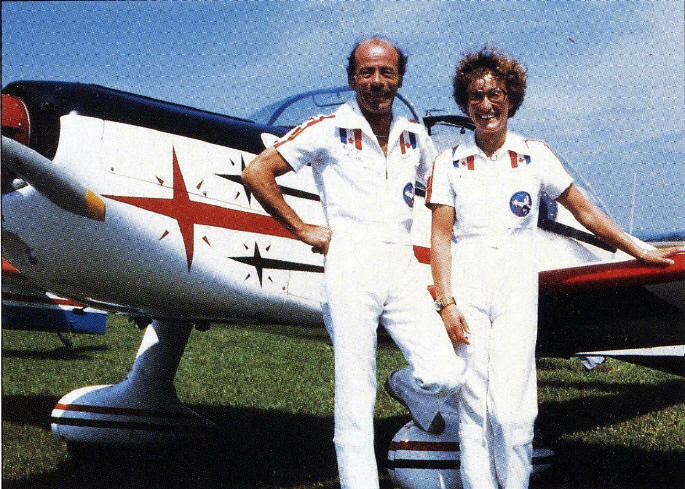 Acme Duck and Air Show Company: Brian, Nancy & Jessie. An act right out of Vaudeville! Brian flew the rattiest Cub you've ever seen, people would give him parts to help him "repair" it! Nancy still bakes great cookies. 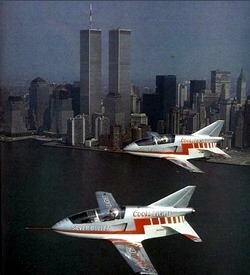 The Acro Jets: That's going waaay back! 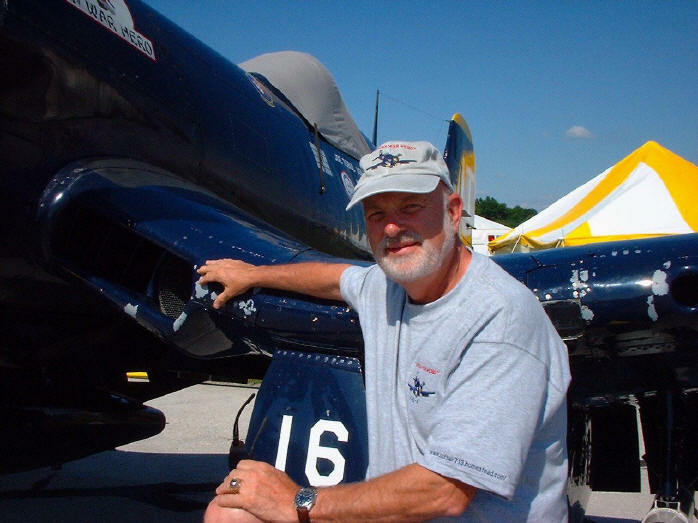 Bob' still flying the little jets; simulating cruse missiles for the DoD. Daniel Heligon and Montain Mallet. 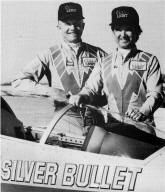 Both aeronautical engineers, two of the finest pilots I ever met. 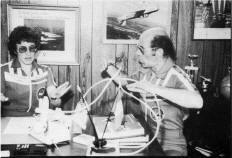 Montain the perfectionist, Daniel the pragmatic fighter pilot. Montain would de-brief my narration until Daniel would say "enough of this, its time for a beere!" My greatest professional compliment was when Montain stopped taping my narration for the de-brief. 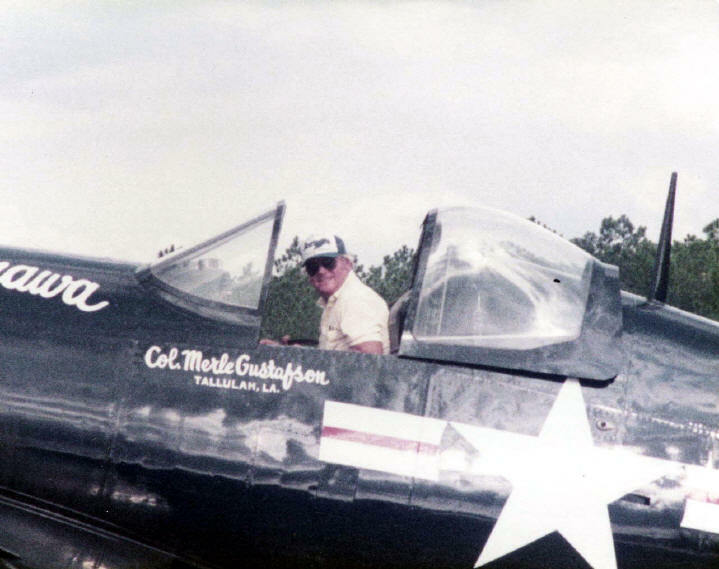 Jeff Davis, a Federal Bank Examiner, performed Carolina airshows for many years. 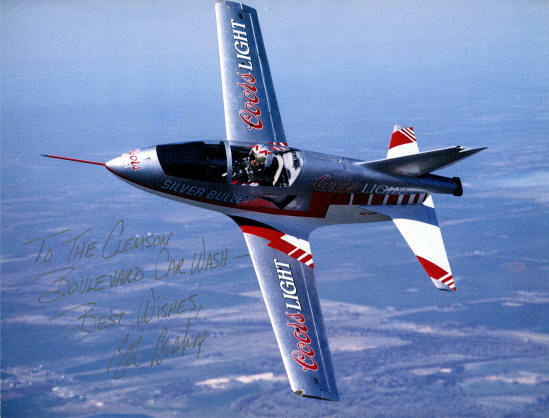 This photo of his Inverted Ribbon Cut, by his wife Cindy, was taken at a 1987 airshow in Albemarle NC. Click on the thumbnail and take a good look at what I think is one of the best ribbon cut photos I've every seen! 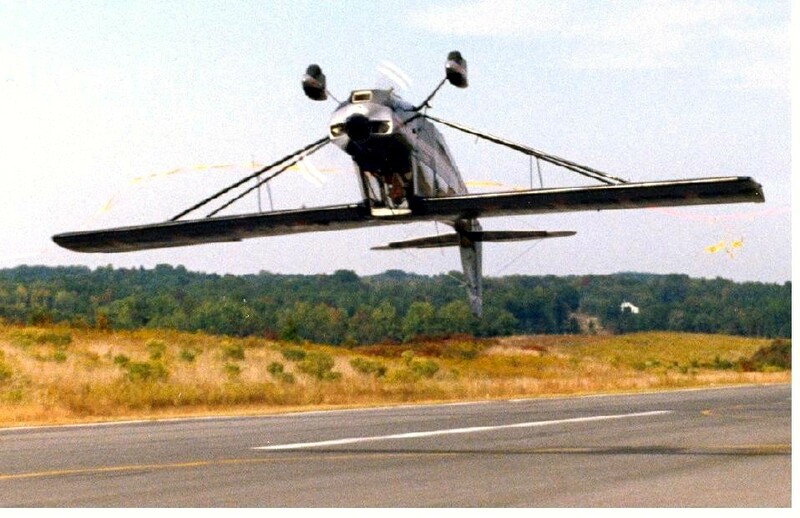 Gordy Graves, a corporate pilot from Charlotte NC, is seen in this picture setting-up for a knife edge ribbon cut in a very restricted airshow site. 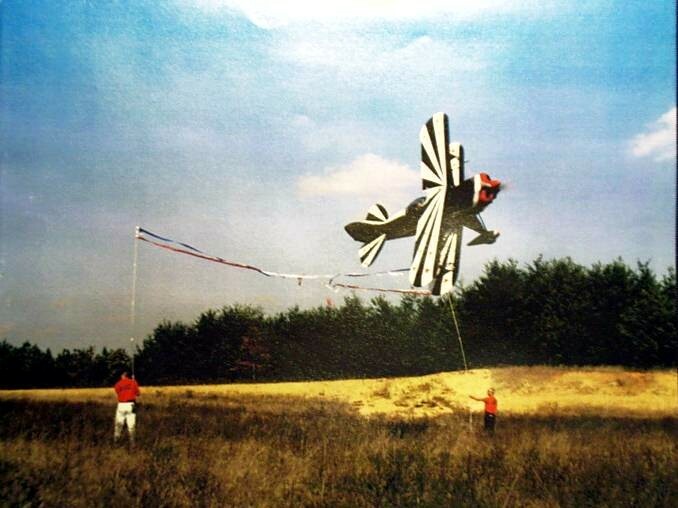 (Did he knife edge through the trees?) Gordy is another Viet Nam veteran, flying U-21's out of Vung Tau. 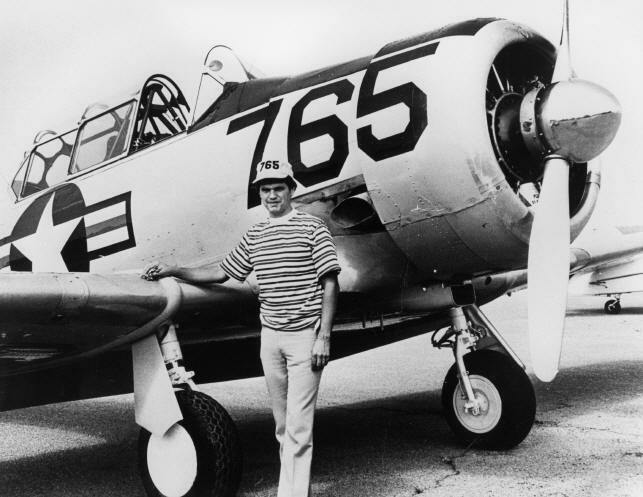 As so often happens in this business, Graves sold his aircraft to pay for his kids college education. 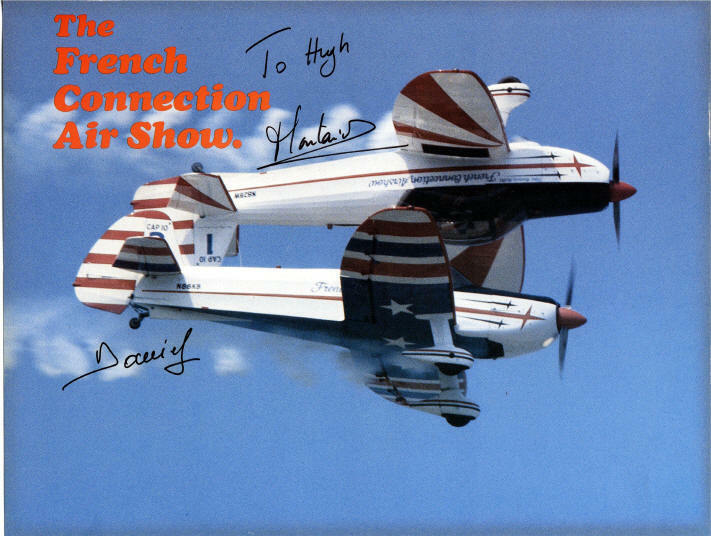 Hopefully, he'll be back in the airshow business after "graduation." 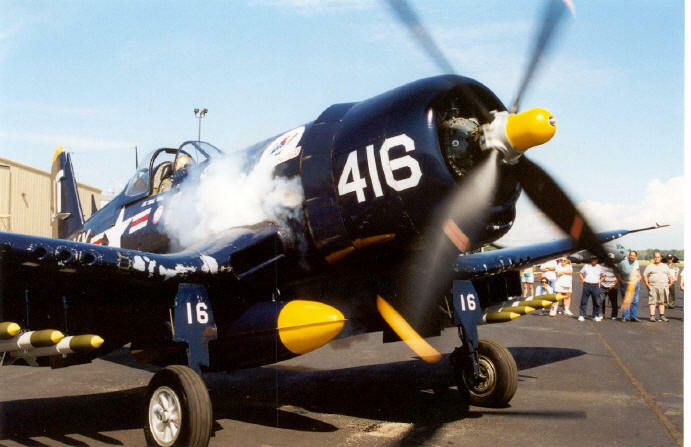 Merle Gustafson, Baton Rouge LA, F4-U Corsair. 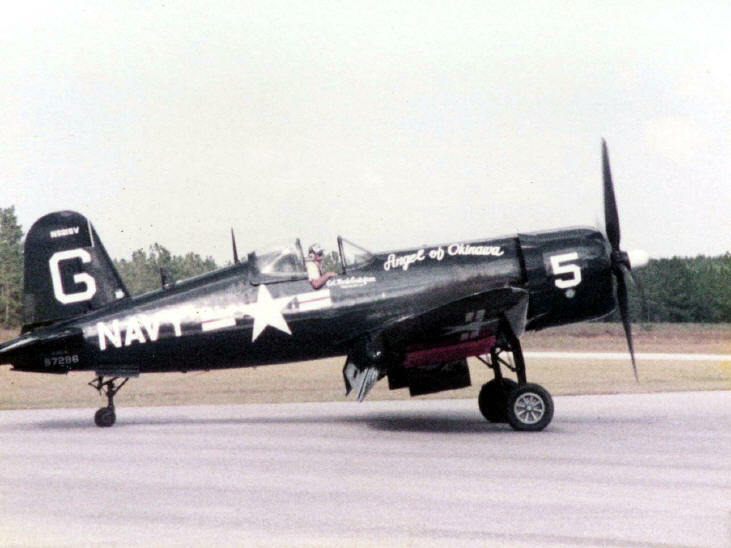 George Lancaster, retired Piedmont Capt. 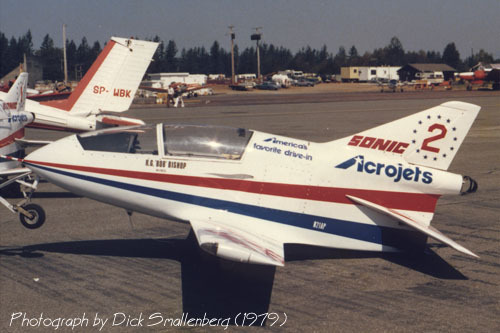 and resident of Wilmington NC, rescued this T-33 from a Mississippi technical school where it had been stored outside and used as a guinea pig for aspiring Airframe and Power plant (A&P) mechanics. 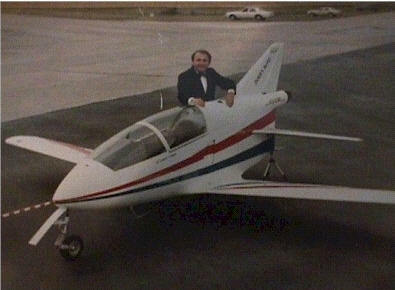 Took many hours and mega money to return it flight status but here you see George at the controls of his resurrected jet. 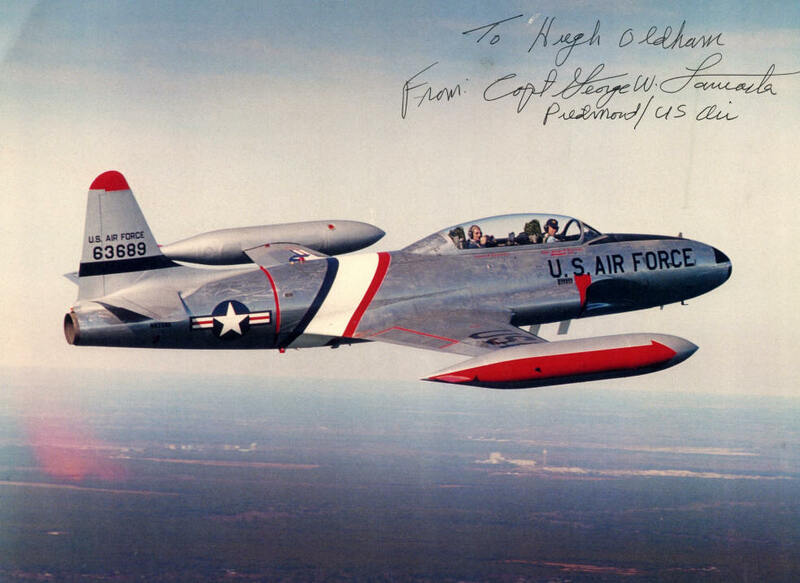 I would like to thank Joe Swearingen and Wilson Mills for having the foresight to publish "Aviation Museum 1903-1985 a pictorial history" in 1985 from which many of the above pictures were scanned.